I’m not one to make New Year resolutions, but once April rolls around, I start to think about how I’ve spent my time in the winter months. Did I exercise enough? Did I eat healthy foods instead of the bags of chips I crave? Usually my answer is yes on the exercise and 50/50 on eating well. But as the temperatures start to rise (okay, maybe only here in Florida right now since some of you are still getting snow! ), I love to get out of the house. Enjoy nature. So this is the time of year I start to make changes. As a writer, I spend long hours sitting in front of the computer. 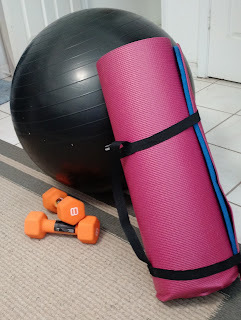 I do take breaks to stretch, but that doesn’t replace activity and getting the blood flowing. If you have a job that requires long periods of inactivity, I’m sure you can relate, so I think some motivation to nudge us in the right direction is in order. 1. Exercise. As I get older, I realize the importance of moving. No matter your age, keeping in shape is vital for so many reasons. Exercise helps you maintain or lose weight, increases metabolism and builds muscle mass, helping to burn more calories. There are so many ways to be active. I force (yes, force) myself to go to the gym at least three times a week, but if you’re not up to that, try walking or biking around the neighborhood. I keep a set of weights by the couch. When I’m watching television, I can work on muscle tone. You don’t have to run a marathon to be healthy, but you do need to push your boundaries. 2. Moving improves mobility and balance, along with your strength, flexibility and posture, which in turn will help with balance, coordination, and reducing the risk of falls. If you sit all day, you probably find that at the end of the afternoon you’re stiff and achy. Stretching moves certainly combat that fatigue. Pilates or yoga are a great way to work out the kinks. Some days I sit on my stability ball while I work to relieve lower back pain. 3. Exercise also has important health benefits because it improves sleep, boosts your mood and kick starts the brain. Whenever I’m at a point in my book where I can’t decide what direction to go next or I’m having difficulty figuring out a scene, I go the gym, jump on the treadmill and I’m amazed at the ideas that start flowing. 4. Take advantage of fresh vegetables and fruit once they become available in your area. Eating healthy will make you feel better and maybe even help you lose those few pounds you might have gained during the winter season. And just so you know I’m taking this advice myself. I took a class at the gym this morning so I expect my word count to go through the roof today! If you’re already taking steps to be more healthy, good for you! And if you need a little nudge, think about how good you’ll feel once you to get started. There are so many different ways to bounce into spring, full of energy and ready to tackle the world. Baby steps will turn into longer strides which will turn into feeling and being the best you possible. Just as we readers love the journey our characters undertake when we start to read a book, we can apply that attitude to a good quality of life. Enjoy the journey and most importantly, have fun! Tara Randel is an award-winning, USA Today bestselling author of sixteen novels. Family values, a bit of mystery and, of course, love and romance, are her favorite themes, because she believes love is the greatest gift of all. 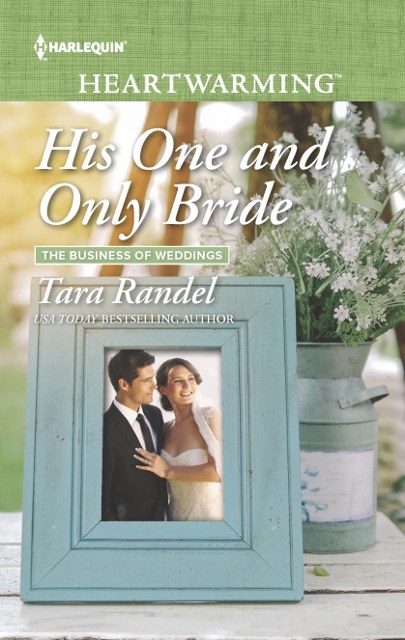 Look for her Harlequin Heartwarming romance, HIS ONE AND ONLY BRIDE, available now. Visit Tara at www.tararandel.com. Like her on Facebook at www.facebook.com/TaraRandelBooks. Sign up for Tara’s Newsletter and receive a link to download a free digital book. Thanks for the nudge, Tara, and love the flower pic! I'm pushing myself too! 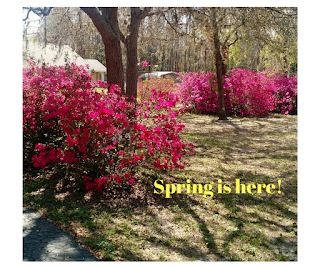 I took that picture last month when the azaleas were blooming in my yard. Wish the beautiful flowers lasted longer than a few weeks. The colors were gorgeous this year. Love this, Tara! So true, the treadmill somehow solves any plot problem. But I do have to remind myself to get up and move while at the computer. You just had to mention chips, didn't you? 😉 I love them too though I only let myself buy them occasionally. 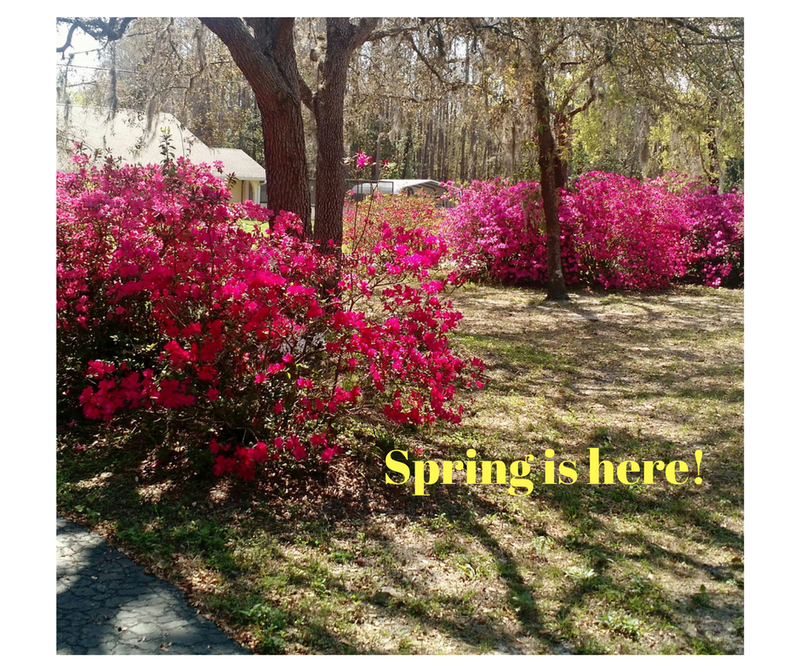 Your azaleas were gorgeous; mine haven't bloomed yet. There's a newish book called Just Move for older people that has some good low-impact exercises. Those chips....the reason I have to go to the gym! Thanks, Leigh. I try to get out for a walk every morning, and luckily our Arizona weather is conducive to getting out in the fresh air. Eating is a whole other "shame-on-me" issue. But so glad you pointed it out, because now I'll try to do better. I'm with you on the eating, Roz. I just got home from picking fresh blueberries and buying beautiful produce. Can't wait to start cooking! Good for you! It feels good to get outside and I'm sure your dog loves it! Ah, flowers, maybe we'll see some one day soon up here in WI. I'm so lucky to be a place right now where I can walk in the city or nature or botanical gardens or wildlife preserves. Right now, sitting too long these last days has given me a stiff neck, and now I have to move and stretch even if I think I don't have the time. Good reminders, Tara! Hopefully you'll get some nice weather soon! Keep moving and stretching! I hear you, Tara! My motivation at this time of year is to fit into my summer clothes again. No flowers here yet. I saw a pair of Canadian geese last week...walking on their summer slough. Probably wishing they'd stayed in Florida. That's my goal, to fit into my summer clothes! Thank goodness we have the spring to get ready. No guilt! As long as you join in a bit, that's the important thing. LOL, now I'm going to feel guilty, especially when I read Cathy's goal to walk 30 minutes with her dog every evening. So, last night, I have the collar and leash in hand, just ready to go for a walk, and there is my husband. The dog, hmmmm, escaped. The Uber driver in front of my neighbor's house said the dog was already waaaaaaaaaaaaay down the street. Hmmm. I turn around, go inside and get the dog a snack. I also ramrod 13 year old into helping. Then, I find my phone so I can call husband should I locate escapee dog. About that time, the dog runs in the front door, all out of breath. I took pity on the dog and skipped the walk. Er, I skipped the walk, really, for me. It's still icy outside here, so I'm getting in my steps by marching in the house. Not very inspiring. We'll relocate to Arizona in a couple of weeks, and maybe I can get in some real walks, and get motivated about losing a little more weight. Thanks for the push.